This article will installing Tiny Tiny RSS which is web base RSS reader. The following script will install Tiny Tiny RSS. MYSQL_PASSWD is root user's password of MySQL. TT_RSS_PASSWD is tt-rss user's password of MySQL. TT_RSS_FQDN is a server machine's FQDN. Please change your server machine which will be installed Tiny Tiny RSS. # tt-rss/self_url_path must be set for installing tt-rss automatically. # tt-rss's postinst read tt-rss/self_url_path but does not use it value. # So this script sets tt-rss/self_url_path and set config.php again. 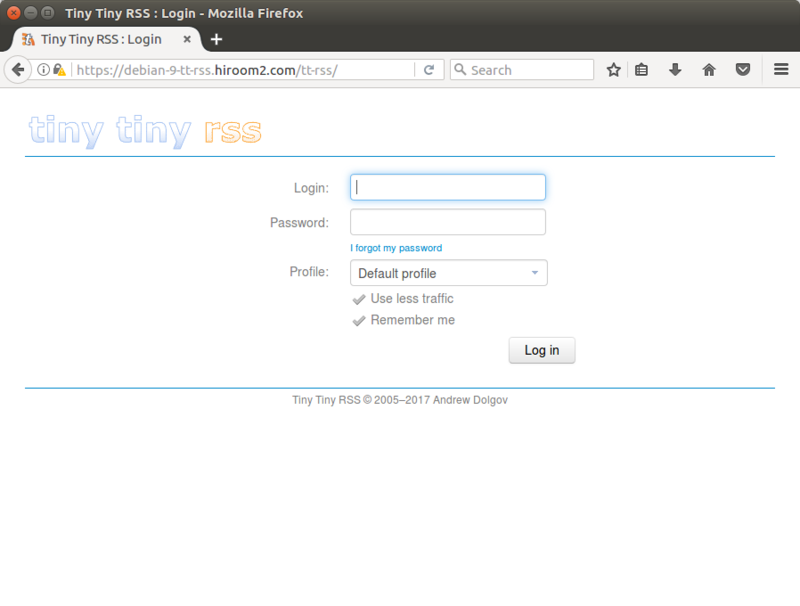 Login page of Tiny Tiny RSS is displayed. Login as admin user with setting "admin" to Login and "password" to Password.